In February 2014, for the first time, internet usage for mobile apps exceeded that of PCs (47% to 45%) , and 8% of traffic was for mobile browsers. Modern marketers, entrepreneurs, publishers, and individuals should definitely consider the opportunities of this mobile explosion. What sets mobile data apart from data from other marketing channels is that it is unique and very personalized, and if you have powerful mobile analytics tools, it is possible to track behavior in a more sophisticated way than for desktops. The data includes session time, bounce pages, most popular pages, geolocation for where the app was used, user activity when the app was used, service integration, social plugins, and much more. Amazingly, only 46% of companies use a mobile app analytics solution , which means that the other half of the companies are not getting any information about their mobile app users. Introducing a mobile app without analytics is a waste of resources because it is impossible to track the outcome and the progress of how everything is working. It is also impossible to measure ROI or introduce monetization to the mobile experience. The engagement can be personalized and improved if a mobile app is supported by a mobile analytics product. There are several major impacts that mobile app analytics has for marketers and developers. Many mobile app publishers still upload mobile apps into the App Store and rely on luck for them to be noticed, just like playing blackjack in a casino. However, the probability of a mobile app becoming a hit without proper measurement, analytics, and preparation is almost zero. People need to learn about it from somewhere first before it can become a word-of-mouth top mobile app. One of the ways that mobile app analytics can be used to improve the promotion of mobile apps is by showing exactly where the download traffic is from. According to customer surveys, about 52% of all mobile app installation decisions are made while browsing the App Store , while the other half is based on advertising, blogs, recommendations, and other sources that may actually come as a surprise for product managers. 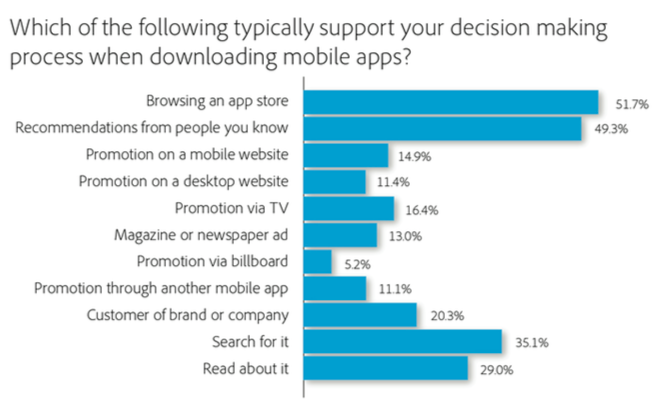 Mobile app retention is still a challenge for many mobile app publishers. First, many of them do not realize how important it is to track user engagement over time. Instead, they concentrate on attracting more and more clients. However, it is much easier to persuade existing users to buy or download your products because they already have a certain level of trust and experience with your brand. Second, those who do exploit customer engagement opportunities still do not know how often they should monitor user activity and what they should focus on. For example, the drop-off step in the mobile app experience says a lot about product quality and the business model if you monetize through your app directly. Frustration and bounce-off points mean that you should improve the mobile app in the next version. Many of the parameters are traditional in marketing: session duration, drop-off point, last time launched, last purchase date, and many more. By using these parameters, you can customize the user experience, for example, by dividing your users into categories. Users who opened the app for the first time yesterday are usually significantly different from those who have been using your product for a month. You can customize your push notifications or pop-up windows to realize your company goals while leaving customers happy. Even after you have published your mobile app and you have received some attention and loyalty from a group of customers, you should still closely watch your rank in the App Store and compare your app to its competitors. It is crucial to check what devices and platforms people are using to reach your mobile app and how many purchases were made. That is why you also need advanced mobile app analytics tools to monitor the data in the App Store and Google Play. The indicators for mobile app performance include downloads count, revenue, in-app purchases, rankings, royalties, region, platform, and category ranks by name and app store. If you discover that you have many Windows Phone users, you should definitely introduce a mobile app version for them too. A sudden drop in downloads or installs may be a technical issue that you need to troubleshoot. Tracking revenue will guarantee that you have received all the processed payments, and the motivation for your team is powered by giving them a complete picture of how your mobile app is doing in the big world. This is another step after you have received detailed customer information. You can group your users into categories even using a simple tool like Excel if you have a good mobile app analytics tool with the capability to download a spreadsheet report. You can also analyze different groups and the shifts in time to understand better what value you are giving with your product. Traditional segmentation divides customers into groups using the date installed or purchased but you can use another option that better suits your business model and mobile app experience. You will also see how upgrades, bug fixes, promo campaigns, advertising, and any other external factors have impacted the popularity of your mobile app. For instance, at the store opening you can ask your clients to download your mobile app, and by extracting them from the other customer groups, you will be able to see the evolution and dynamics behind their interest in your brand. If your business collects geolocation data, you can see if these customers visited your store or were trying to find it on a map. 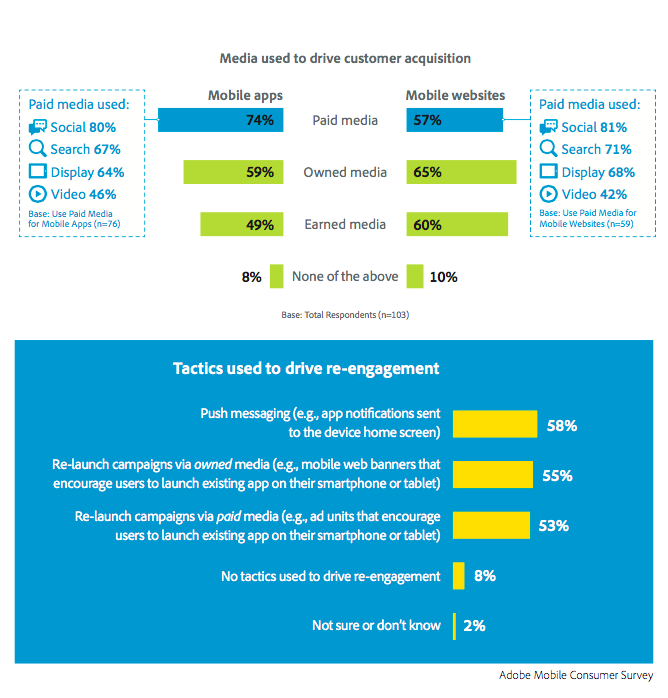 This is one major difference between mobile and other marketing channels. The interaction is even more relevant for location-based businesses and their interactions with customers. It is also related to mobile search and mobile ads, as they can become much more relevant thanks to geolocation. The first thing to work hard on is persuading your users to give you access to geolocation data. You can do this by sending the request after smart screen education at the right moment – like when the function can be immediately used. If a user does not agree to share their geolocation data, it is almost impossible to change their mind. Mobile ads connected to a geolocation can provide a direct call-to-action and build the very necessary bridge between mobile online and offline activities. The process of taking an action should be quick and easy, so that the conversion opportunity is not lost. 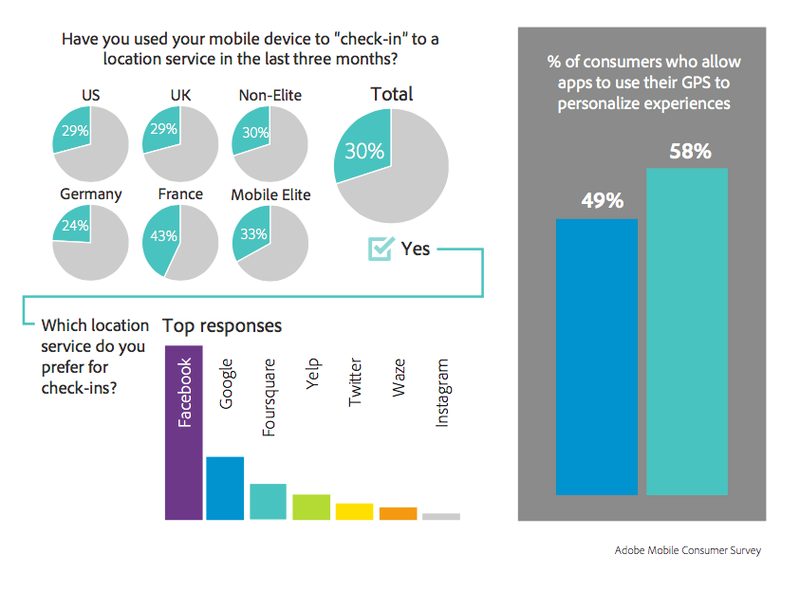 A mobile location is not only used in the retail, entertainment, and media industries. Health care, fashion, tourism, education, and many other spheres also use it to provide a better customer experience on mobile. Mobile app analytics answer your questions about where your apps are used and where your users go every day. 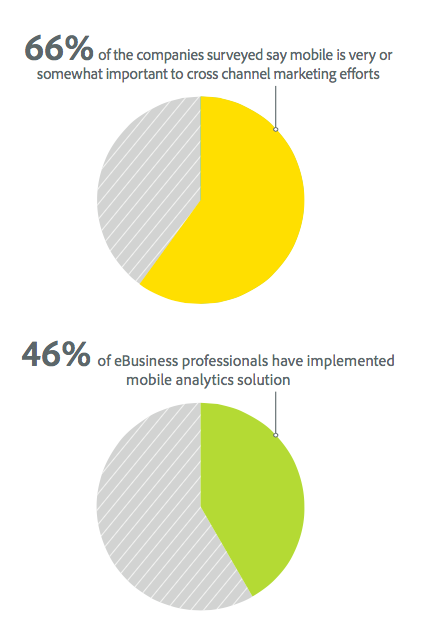 What are your thoughts and experience with mobile app analytics?